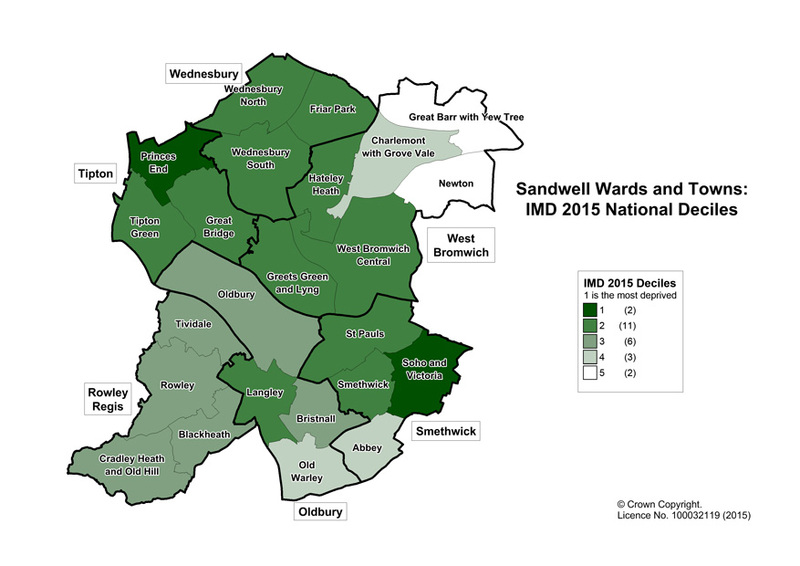 Population weighted IMD scores have been calculated for Sandwell wards following methodology prescribed by DCLG, with Sandwell LSOAs having been aggregated to ward level according to best-fit. When compared to deprivation levels across England, the deprivation levels for Sandwell wards shows that all would lie in the most deprived 50 percent of all LSOAs nationally. 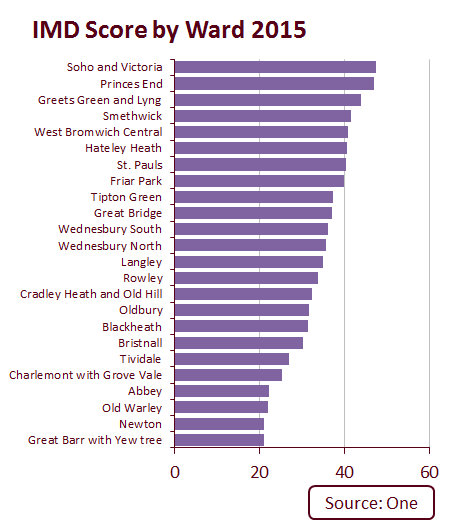 The most deprived Sandwell wards, which fall within the worst 10% of national scores, are Soho & Victoria and Princes End. The least deprived wards are Newton and Great Barr with Yew Tree, both located in the north east of the borough. All wards within Wednesbury town fall within the worst 10-20% of scores nationally. Whilst all wards within Rowley Regis are within the worst 20-30% nationally.